Enjoy the “Nectar of the Gods,” a thousands of years old treat cherished by the Founding Fathers and their generation of Early Americans. Though today chocolate is most commonly thought of as a solid confection such as candy or a candy bar, it’s solid eatable identity is a relatively recent phenomenon of the last century and a half out of chocolate’s multi-millennium history of human consumption. Prior to the debut of the chocolate bar in the 1800s, chocolate was known as a beverage. For thousands of years, chocolate was esteemed as a sort of magical elixir, highly prized for its many health properties. 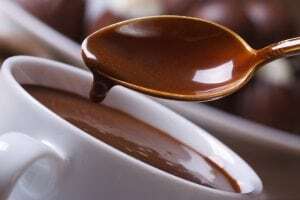 Mesoamericans considered drinking chocolate sacred, using it during religious rites, initiation ceremonies, funerals, marriages and banquets of state. It was often reserved only for the wealthy and powerful elites who were buried with their chocolate cups when their cocoa drinking days were done. The cacao tree originated from the Amazonian basin and began to be cultivated by the native peoples of what is today Central America and Mexico over four thousand years ago. The Aztecs and Mayans of this region combined chocolate, vanilla, chili pepper, cornmeal and other regional spices to create a drink they called the "nectar of the Gods." Spanish Explorers introduced chocolate back to Europe where it was named “drinking chocolate” and was prepared in copper, silver, and ceramic chocolate pots by agitating the chocolate with a special chocolate whisk that was rubbed back and forth between the preparer’s hands. The expensive imported product was again reserved for the elite including Spain’s royal family and other European aristocrats who like the Mesoamerican nobility, referred to it as "the drink of the gods". By the late 1600s, Europeans had added sugar to the drink, making it that much better, and everyone who was anybody among European high birth was drinking the very popular drinking chocolate. Nevertheless, although chocolate is often associated with European culture, the roots of chocolate are firmly planted in the Americas. Drinking chocolate was one of the patriot beverages of the American Revolution. Through England’s capture of Caribbean Islands from Spain in the 17th century, it obtained a fleet of up and running cocoa plantations which dropped England’s cost for drinking chocolate significantly making it widely available. This was especially true in England’s North American colonies which received direct shipments of chocolate from these nearby West Indies neighbors instead of having to import it from England with all the accompanying taxes. Thus avoiding there having been a Boston cocoa party instead of the Boston Tea Party. In fact, drinking chocolate was so much cheaper in the colonies that at the time of the Revolutionary War, there was only one commercial chocolate maker in Britain but nearly seventy in the thirteen colonies. 320 tons of cocoa beans were imported from the Caribbean into the American colonies in 1773 alone. Records show that drinking chocolate was a loved common beverage among the Founding Fathers, their families and early Americans in general. Revolutionary War patriot soldiers had drinking chocolate included in their rations. 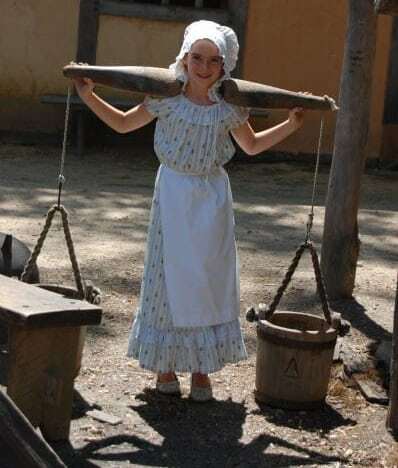 George and Martha Washington’s financial ledgers show they ordered large quantities of drinking chocolate at Mount Vernon and during George Washington's presidency at their other residences. In 1785, Thomas Jefferson predicted that drinking chocolate would become the favorite beverage in North America over coffee and tea. John and Abigail Adams were big fans of drinking chocolate, gushing over it in their correspondence to one another. Benjamin Franklin sold drinking chocolate from his Philadelphia print shop. The drink called ‘hot chocolate” in the United States today is a much thinner, weaker and watery drink made from cocoa powder rather than chocolate like what was used by the Founding Fathers and their contemporaries. Brooker’s Founding Flavors Early American Hot Drinking Chocolate enables you to enjoy the chocolate drink that the Founding Father’s loved so much, prepared the way they did. Enjoy!